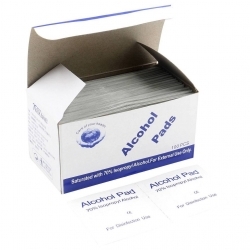 – Disposable Alcohol prep pads. – Ideal for cleaning and disinfecting areas. – For optimum anti-bacterial action. – Single swab saturated with 75% Alcohol. – Four-layer wrapper prevents drying out.